Since opening our very own adoption center earlier this year, we are excited to announce that we have already saved more than 500 dogs! None of these precious pups would have been saved without the generous support we receive from our adopters, volunteers, fosters, and donors. We are so thrilled that we have hit this milestone already and cannot wait for the rest of 2018. Thank you for your endless support! If you haven’t seen our Adoption Center Grand Opening video yet, check it out below! Looking for a whole lot of sweetness in a tiny, scruffy package? Look no further than Pip! This 7 month old terrier mix has a unique grey and brown coat and the pointiest of ears! He weighs only 6 pounds and will be the perfect companion for someone who wants a buddy to take everywhere with them! Pip has a good medium energy but is also an outgoing little guy and likes everyone he meets! He is being well socialized in his foster home and will make a great addition to a loving family. He is healthy, up to date on vaccinations, neutered and microchipped. 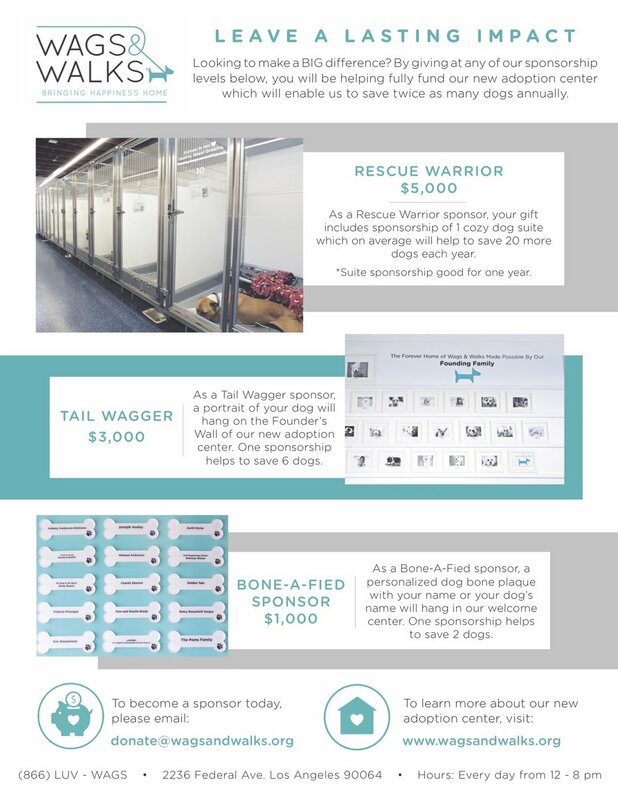 Again, thank you to everyone who has made this Wags and Walks milestone possible. 2018 has been a huge year for us and we can't wait to see what else it brings!